While setting up a new business, you and your business partner are focused on important, exciting tasks to get the business on the ground, from conceptualising your branding and setting up social media accounts to fitting out your store. During these times, it’s easy to forget or avoid considering the future potential for disputes. But like any relationship, it’s a possibility you should realistically prepare for. 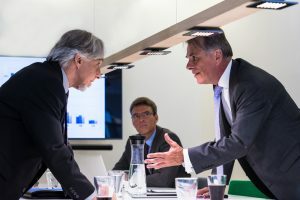 The best way of avoiding costly, lengthy and stressful disputes is to establish a shareholder’s agreement that clearly outlines the rights and obligations of each business partner. Whenever an issue arises, parties can refer to the shareholders agreement and follow dispute resolution procedures that are set out. This reduces conflict and ensures fairness should a dispute arise. Roles and obligations – A description of each individuals roles and responsibilities so everyone knows what to expect of each other. Dispute resolution – Provides a step by step process of how to reach an agreement or compromise in the event of a dispute that everyone agrees on. Termination – Details the way in which someone can remove themselves from the business or under what circumstances a partner can be removed. Confidentiality – Sets out information that everyone is limited to disclose to third parties (e.g. client lists, trade secrets, financial records). Restraint of trade – Prevents partners from poaching clients, competing with the business or exploiting confidential information in a way that benefits them. Intellectual property – Ensures intellectual property like branding, trademarks, designs, recipes etc. created by any partners are assigned exclusively to the company. Coming up with a dispute resolution process is often difficult. An experienced commercial law firm can help you write a shareholders agreement that is fair and looks out for everyone’s interests. Every partner has their own interests in the business and may have their reasons for wanting to leave the business further down the track. If everyone is honest and shares their concerns and interests at the beginning, it’s easier to achieve a fair outcome should a dispute arise. For example, would one partner buy another out? How would this process go ahead and at what price? Are departing partners entitled to any assets or intellectual property? It’s important to come to a mutual agreement about such things early and to keep a paper trail. Need Advice or Assistance with a Shareholders Agreement? If you’re starting a business or need legal advice for your existing company, speak to our experienced lawyers in Brisbane. As members of the Queensland Law Society, our lawyers will examine your individual circumstances and offer timely advice on the best pathway forward. At Phoenix Law, we specialise in Family Law, Personal Injury Law, Migration Law, Commercial Law, Property Law, Litigation Dispute Resolution, Estate Planning, International Trade Law, Intellectual Property Law and Workplace Relations Law. We speak your language, with a team of multilingual lawyers ensuring our clients get the best possible understanding of Australian law. Call our law firm today on 07 3180 0908 or contact us online. Running a small business is exciting, especially when it starts to grow. However, it’s not always fun and easy. Operating a business is often stressful and presents a variety of financial and legal risks if not done right. The best way of avoiding potential issues is to get on top of any legalities at the very beginning. Below are some key considerations to make. The kind of business structure you choose will have implications over the whole life of the business. The right type of structure will depend on a variety of factors such as your appetite for risk, how much flexibility you need, what type of business you are operating, tax considerations and the costs related to each type of structure. 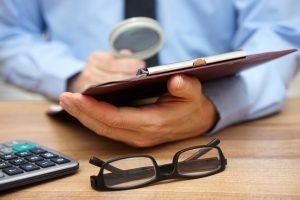 An experienced commercial lawyer can help run through the benefits and downsides to each option and help you determine the best option for you. What kind of legal framework are you operating in? For example, do you need to hold particular licences or permits to carry out your business activities? Are you required to offer a certain level of diligence, skill or care? Depending on what your business is, you will be subject to particular laws and regulations that govern your business operations, so it’s essential to be well informed about them. Protecting your business’s assets is crucial. This includes intellectual property, which some business owners overlook until it’s too late. This includes things like your trademark, brand, domain name, copyright and products or recipes you’ve created. Don’t find yourself in a situation where you come up with a great business name only to find someone else beating you to registering it. Other ways of protecting yourself include having carefully drafted terms and conditions for things like refunds, supplier relationships and payment terms. Privacy policies are also essential for ensuring your business complies with any privacy legislation and telling your customers you are a responsible and professional business when it comes to handling their personal information. Ensure you meet the minimum standards that meet all employees in Australia, including minimum wage and any awards that apply in your industry. Familiarise yourself with these standards and your obligations under the Fair Work and Occupational Health and Safety Acts to ensure you are operating lawfully. A workplace law firm can help you understand your obligations and draft employment contracts that are fair and lawful. Need Advice or Assistance with Commercial Law? Are you starting a new job or changing roles within your workplace? It’s essential to properly review your employment contract to ensure there are no surprises. 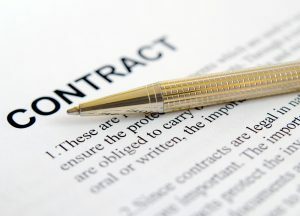 It’s common for Australians to just sign what they are given when contracts are handed over, especially in the workplace. However, it’s important to remember that like any other contract, an employment contract imposes obligations on both parties. It’s a document that governs the relationship between you and your employer, so it’s crucial to ensure it is fair and accurate. What Should Your Workplace Contract Include? If some things are not included, you should bring it up with the employer, negotiate the terms and add it to the contract as necessary. Failure to include agreements or promises made during pre-contractual negotiations such as bonus, benefits, holiday, commission, health insurance and flexible working arrangements. Terms that contradict the Fair Work Act and/or the National Employment Standards. Ambiguous or otherwise unclear terms in a contract that may be open to interpretation and able to be used against you. Discretionary clauses that may give the employer an unfair advantage. Overreaching restrictions or restraints of trade which can limit your options upon termination in a way that seems unreasonable to you but is enforceable by the courts. For example, non-compete clauses can prohibit you from working for a competitor for a certain amount of time or in a certain geographical area. Ensure you understand everything that is in the contract and that it reflects your understanding of any verbal agreements made prior to signing. If there is a contractual provision or any terms you don’t understand, an experienced workplace relations lawyer can assist you. Need Help Reviewing Your Employment Contract? If you need advice or assistance reviewing your employment contract, speak to our experienced lawyers in Brisbane. As members of the Queensland Law Society, our lawyers will examine your individual circumstances and offer timely advice on the best pathway forward. Getting fired is a stressful experience, especially when it’s unjust or done for the wrong reasons. However, there are legal provisions that may be able to help you regain your employment and/or receive compensation for lost wages. These rights are covered under unfair dismissal laws or unfair termination laws. It’s essential to act quickly as you can only make a claim for unfair dismissal within three weeks (21 days) of being dismissed. Unfair dismissal is when your employer fires you in a harsh, unreasonable or unjust manner or you were forced to quit because of something your employer did. For example, if you were suddenly fired without being given a reason, you may be able to lodge an unfair dismissal claim to the Fair Work Commission (FWC). 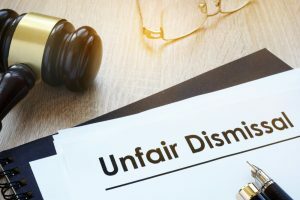 If you were dismissed for a reason that had nothing to do with your conduct or performance and was not a dismissal, you may also be able to make a claim. If you were dismissed due to your performance but were not given a warning or an opportunity to respond to those reasons, then you may also be able to make an unfair dismissal claim. To lodge an unfair dismissal, claim with the FWC, you have to have worked for your employer for at least six months or 12 months if they are a small business. You must also have earned less than the high annual income threshold (currently $142,000) and be covered by a modern award or enterprise agreement. If you earn more than the high annual income threshold, you must be covered by an award or enterprise agreement. If you think you have been unlawfully terminated, you can make an application to the FWC under the general protection provisions relating to dismissal. An experienced workplace relations and compensation lawyer can help you determine whether you termination was unfair, assess the conduct of your employer and help pursue a claim on your behalf to ensure you get the best possible outcome. Need Advice or Assistance Making an Unfair Dismissal Claim? If you need advice or assistance about making an unfair dismissal claim, speak to our experienced lawyers in Brisbane. As members of the Queensland Law Society, our lawyers will examine your individual circumstances and offer timely advice on the best pathway forward. Buying a franchise can be an easy and exciting way to get into business. However, before you commit to a franchise opportunity, it’s essential to beware of some of the pitfalls and understand your rights and obligations. One party (the franchisor) grants another party (the franchisee) the right to conduct business in Australia supplying goods or services under a specific system or marketing plan substantially determined, controlled or suggested by the franchisor. The franchise business is associated with a particularly trademark, advertising or commercial symbol owned, used licensed or specified by the franchisor. The franchisee is required to pay or agree to pay an amount to the franchisor commencing or continuing the business. 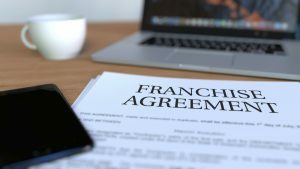 Even though the business is not referred to as a franchise, if it meets the above definition, it will be covered by the Franchising Code of Conduct. Before you sign the franchise agreement, you should obtain as much information about the franchise as possible. You should also speak to a law firm with extensive knowledge of commercial law relating to franchises. Ensure it is a genuine business. If possible, speak to current and former franchisees about their experiences. Ensure you understand what’s included in the sale (e.g. products, advertising, back up assistance). Find out what your health and safety obligations are, operating procedures, employee responsibilities and obligations upon termination of the franchise. What fees do you have to pay? This can include commission, renewal feeds, training fees and payments to a third party. You must receive these documents at least 14 days before you sign an agreement or make a non-refundable payment and have had a reasonable opportunity to read and understand each document. You are entitled to terminate the agreement within seven days of entering into it or making a payment. Need Advice or Assistance with a Franchise Agreement? If you need advice or assistance going through your franchise agreement and disclosure documents, speak to our experienced lawyers in Brisbane. As members of the Queensland Law Society, our lawyers will examine your individual circumstances and offer timely advice on the best pathway forward.